Notice the building on the extreme right of the photo. This building is where the beacon now stands. The cottages in the foreground were known as Eclipse Cottages as they were between the Sun & the Moon. The Half Moon was situated behind the photographer and the Rising Sun is shown by the traffic lights. 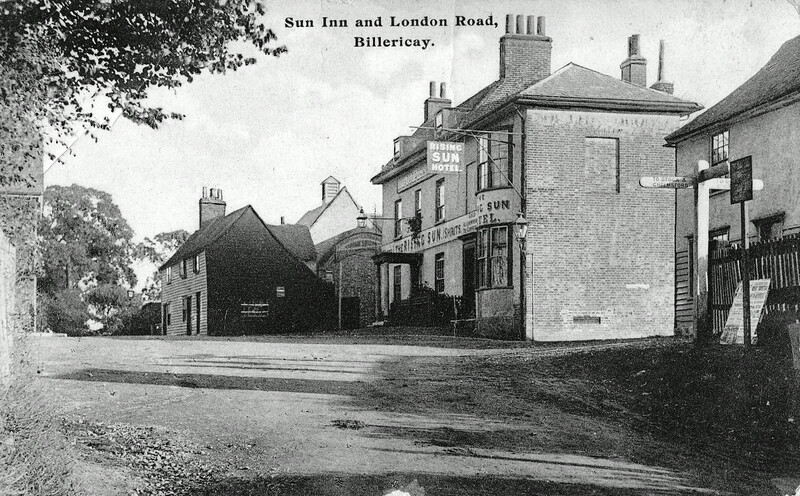 The Rising Sun, which opened in 1810, was originally owned by the Billericay Brewery based at the Crown Inn which stood where Crown Yard is today. 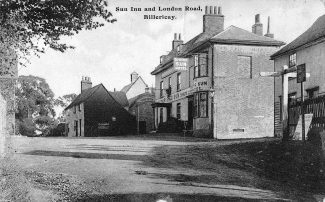 When the Billericay Brewery was sold at auction at the Black Boy in Chelmsford on 29th January 1830 the Rising Sun was sold as an individual lot. 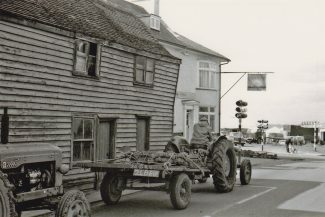 Before the coming of the railway the Rising Sun’s position at the crossroads of the road to London and Southend made this an ideal position to take advantage of the coaching trade and it was said to be an inn of some standing. 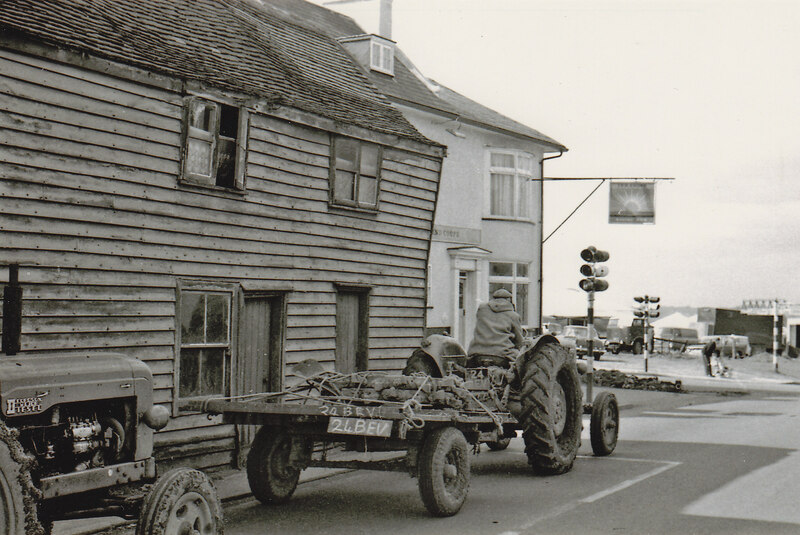 The cottage shown in this picture was the home and business premises of greengrocer John Totman. His brother, a drover, is depicted in the picture of Billericay windmill.